The Eindride (“One Who Rides Alone”) In Norse mythology and legend, there are few symbols more prominent than the wolf. A wolf pack was representative of attributes like strength, loyalty, and a stark reminder of the mortality and doom of man. Across the whole Nordic world you would be hard pressed to find a greater symbol of royalty and power than this most graceful and deadly creature. The wolf, and the wolf pack, feature heavily in the Icelandic sagas and other stories throughout human history. Wolves are known as social animals. Their greatest strength is not their speed, their claws, or their fangs, but their ability to work together to bring down greater foes. It is this pack mentality that defines their being and has captured the imaginations of cultures around the world for centuries. It is also why the “lone wolf” concept is so simultaneously fascinating, and heartbreaking. A lone wolf may have lost their pack, or left it behind, or been cast out – but they still persevere. Running in the moonlight, fighting for survival, refusing to give in to loneliness or despair. Lone wolves, while rare in nature, have become symbols for people who feel they are on the “outside” – of society, family, or the social norms that constrain them. 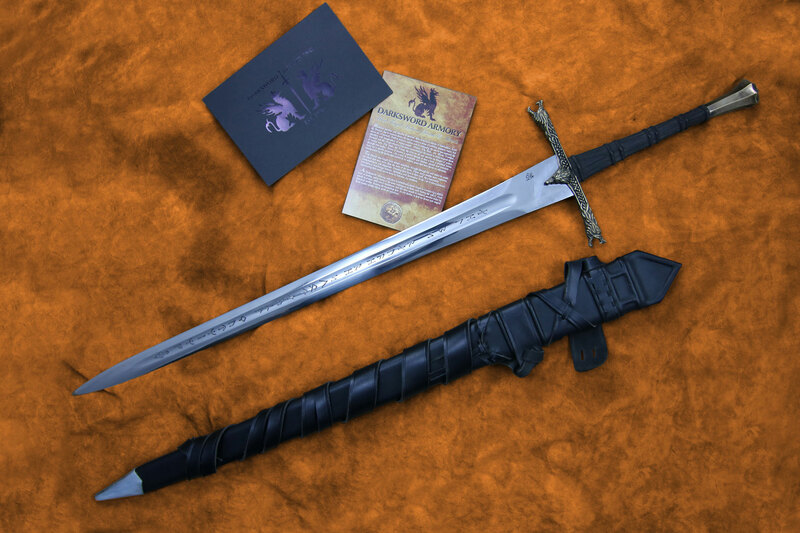 The Eindride is a sword for the lone wolf, the wanderer, the outcast. Someone who, for a time at least, is separated from their pack. This sword’s cast bronze guard features snarling wolf heads on the hilt, accented by traditional knotwork. 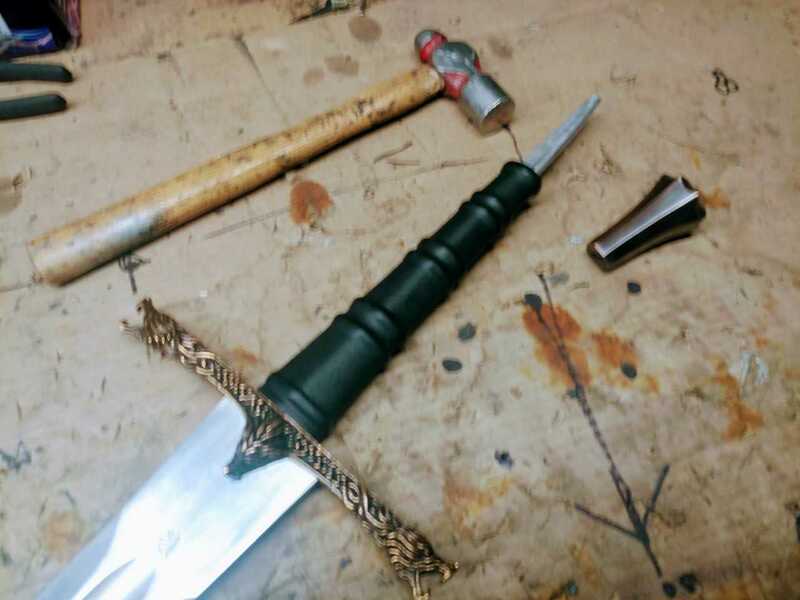 A simple bronze scentstopper pommel and wooden grip complement the elaborate hilt. 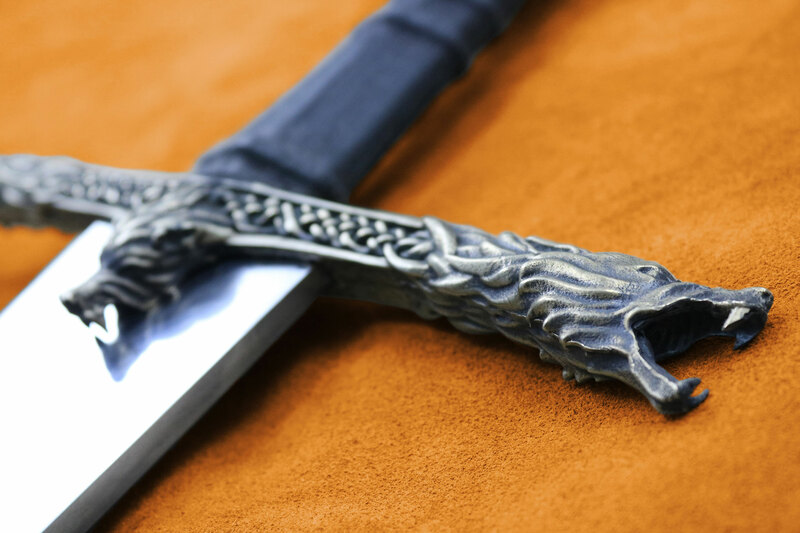 The blade has a thick ricasso that transitions into a single fuller double edged design that has norse runes inscribed, reading, “Let my blade be your last warning” – a snarl from the indomitable heart of the lone wolf. The Eindride was designed with these people in mind, in honour of their unbreakable spirits, to be their companion when no one else is. We hope it will keep you safe on the journey. 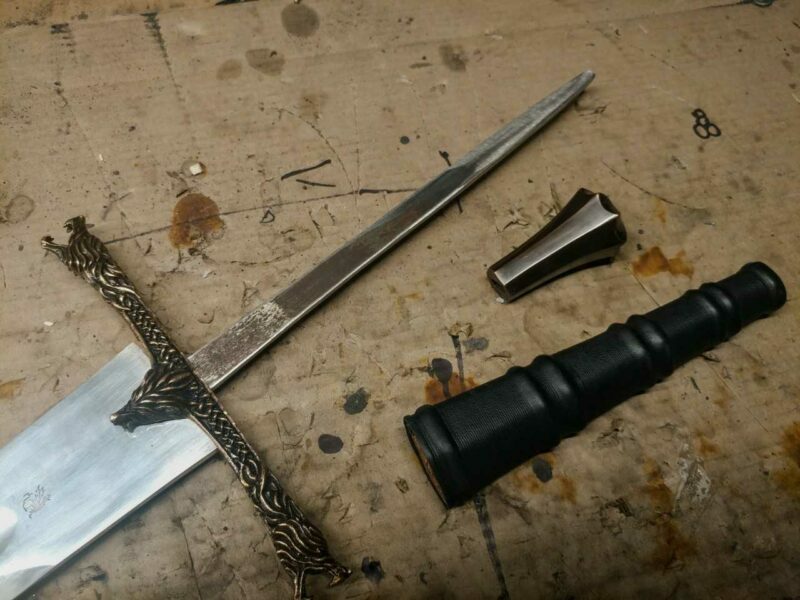 The Eindride Lone Wolf Sword, prior to assembly. Ok i g2 admit i am hesitant to leave a review. I want this to be my sword and nobody elses but i owe darksword for such… idk if there are any words to describe this blade. I love this sword. A nice thick broad blade with a very unique shape like none i own. Looking at the handle after ordering i actually started having doubts, an odd shape and the way it tapers thinner towards the bottom. I am so used to fatter beefier handles but…Picking this blade up the first time i was in awe, it is like its a part of me. I can move this blade as fast as a katana even for its weight it is balanced beautifully and to my suprise like I said this handle feels like it was made for my hands. I havnt even gotten to the craftsman ship yet. What superb attention to detail down to the sharp teeth of the wolves on the crossguard. The runes are also well done. They give the sword a legendary look. Absolutely no regrets buying this blade a legendary, epic sword. I see darksword has a new sword with this same blade but it has a fatter, heftier handle and crossguard. Looks possibly tougher but idk there is something about this blade. I had done some lighter cutting tests with this blade and it excels, like i said it feels like an extension of myself. The control and accuracy swinging cutting the target in half or just whittling it down just taking small pieces off the target. Now mostly just swinging practice and No rattle whatsoever, everything flush and even, the peen is a work of art. Anyway thanks again darksword. Im hoping January i can order another blade, still wonder which one next though, none hold a candle to this one? Maybe something different next? The 1h celtic blade looks intersting? i never thought i would say it but this blade even tops my del tin 2h swedish sword. It is just as capable battle ready a weapon but with the added details and bronzework. An epic blade. The Eindride Lone Wolf is the most expensive sword I have bought yet, and I have no regrets. 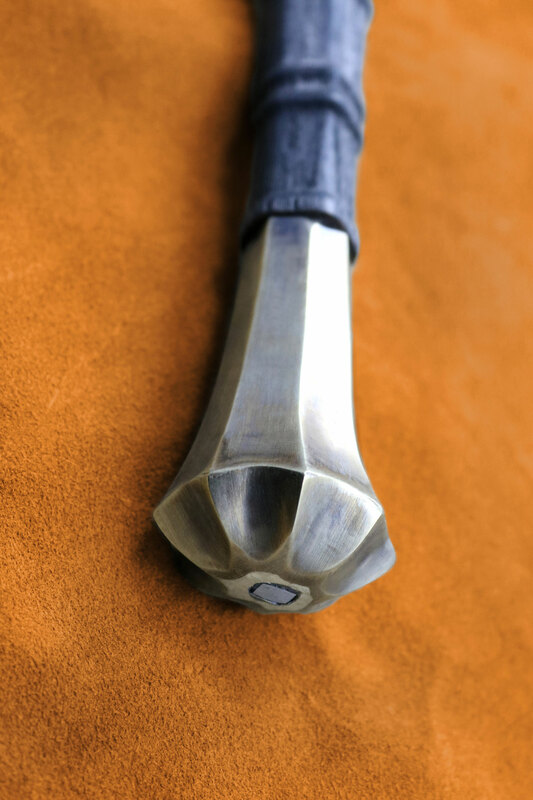 With the thick ricasso near the hilt, it is incredibly easy to swing and manoeuvre with ease and grace. 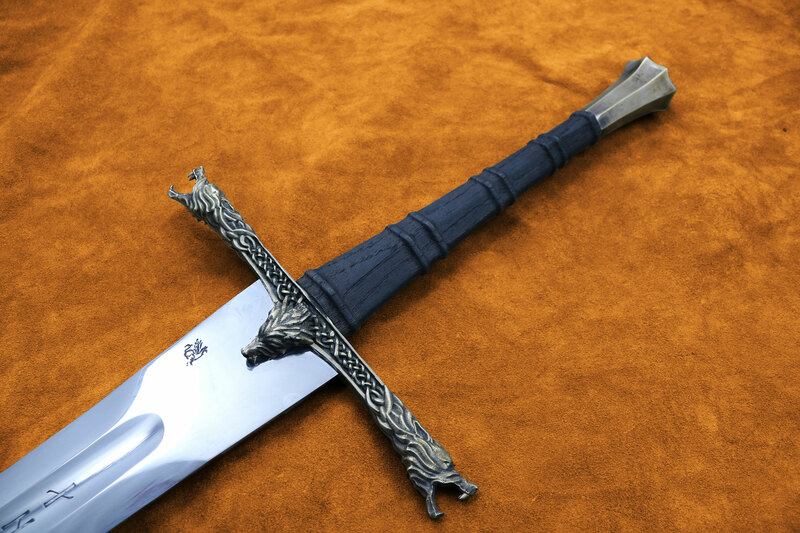 The attention to detail in the wolf cross-guard is exceptional, and the runes in the blade also superbly defined. 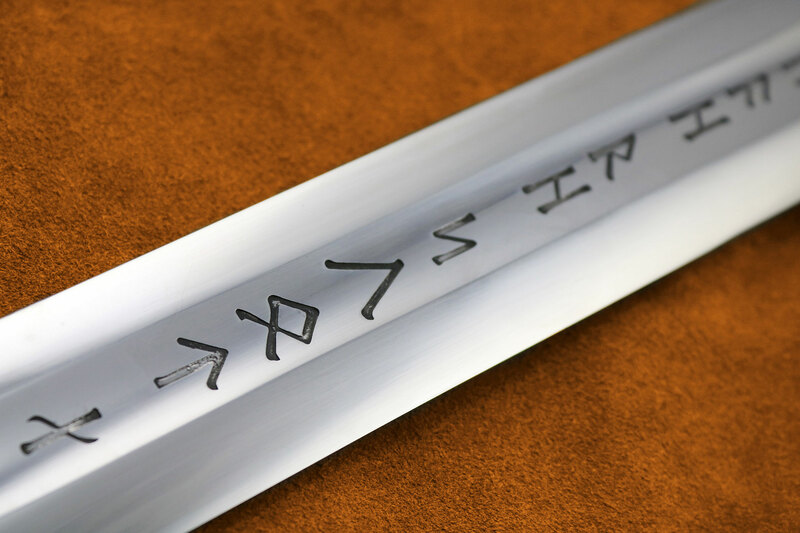 (One rune seems to have been etched a little too deep, with a VERY small hole being present, through which I can see through the blade, however this is only seen when looking very closely at the blade). It looks gorgeous, it feels gorgeous. 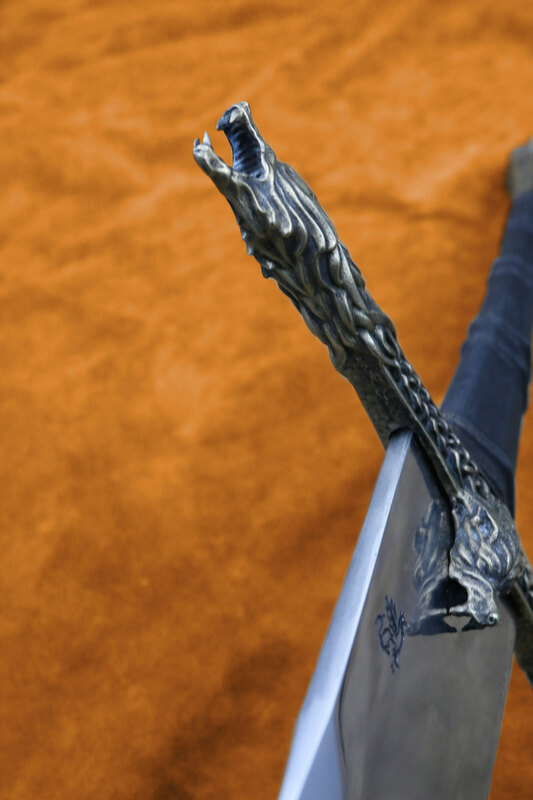 I absolutely love this sword, not only because of the Wolf design but also for the care put into every detail on it. This is by fare my favorite sword and I have some really great swords. Every time I look at it I smile.